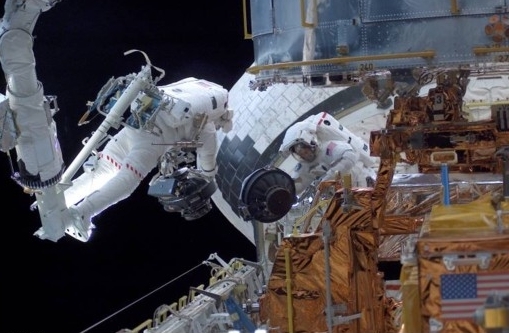 The Hubble Space Telescope is a cooperative program of the European Space Agency (ESA) and the National Aeronautics and Space Administration (NASA) to operate a long-lived space-based observatory for the benefit of the international astronomical community. 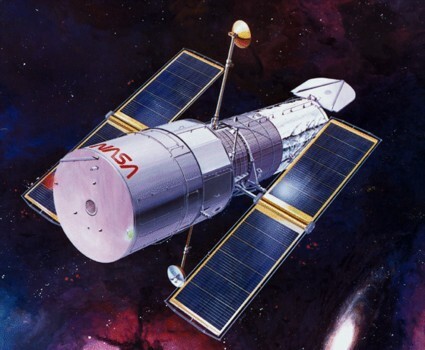 Hubble which was originally designed in the 1970s and launched in 1990, includes two cameras, two spectrographs, and fine guidance sensors (primarily used for astrometric observations). Because of its location above the Earth's atmosphere, Hubble can produce high resolution images of astronomical objects. Ground-based telescopes can seldom provide resolution better than 1.0 arc-seconds, except momentarily under the very best observing conditions. HST's resolution is about 10 times better, or 0.1 arc-seconds.